Life-long CAR magazine reader Mike Sweetman bumped into Jaguar's prototype F-Pace on his travels along the M5 motorway in the south-west of England. His partner Natalie papped away once Mike spotted the Jag SUV parked up at the Gloucester service station (famous for its new farmshop, incidentally, as opposed to an identikit fast-food chain like most UK M-way rest areas). 'It had a low roofline that was more like the Mondeo estate's than the Volvo XC90's which were parked in the same bay,' Mike tells us. 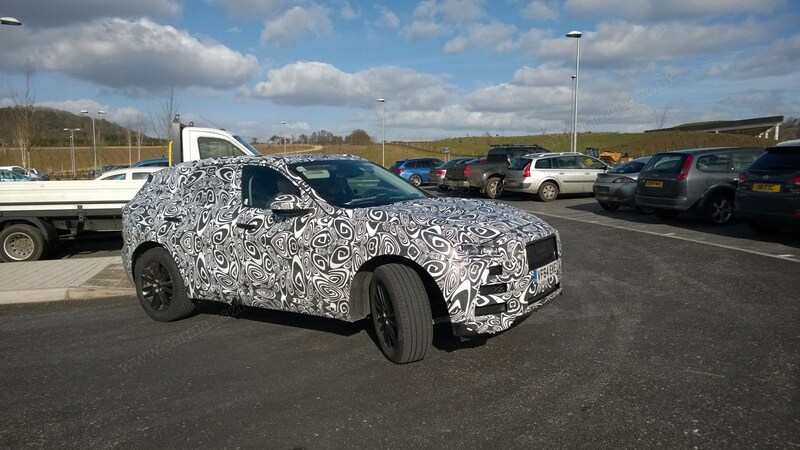 What else can we tell from these spy photos of the Jaguar F-Pace? We get the feeling the Jag 4x4 will become one of the most-scooped prototypes yet on Britain's roads, as the company prepares for launch in 2016. As an incremental model with no current sales to damage, Jaguar is unlikely to worry about showing it off in public too much. One detail we noticed on Mike's high-resolution pictures is the addition of all-weather tyres. Sister brand Land Rover likewise fits all-season rubber, bringing great traction all year round. Seems Jaguar is following suit - no surprise since the F-Pace is being developed at Land Rover's Lode Lane 4x4 centre of excellence in Solihull alongside Range Rovers. Mike was certainly a fan. 'My gut feel says the product planners have aced it!' he enthuses. He clearly has good taste; he's read CAR since 1985! And if his view is representative of all Jaguar customers, it explains why the company has backed the new SUV project - despite protestations from more conservative quarters.